Racy becomes a popular actress in Dhallywood film industry. Some people says always time Racy gives us beautiful acting. Which is really change spectator mind? Racy does not believe any superstition and prejudices. Always time she speaks out frankly and free. 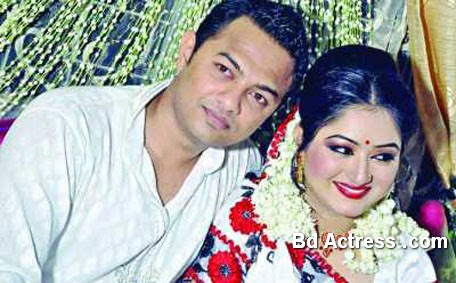 Bangladeshi actress Racy marriage date was June 22, 2012. Bd actress Racy husband name is Toufiqul Islam. He is a business man. Husband adobe becomes s Cittagong. Racy lives in Dhaka Uttra. Both says marriage becoming hold Uttra Racy own house. Both family members present marriage ceremony programs. They expect their home moon will another country Australia. Family and husband become my first parity. Actress model Racy seems to be family and films completely different affairs. Recently she does not agreement any new film.